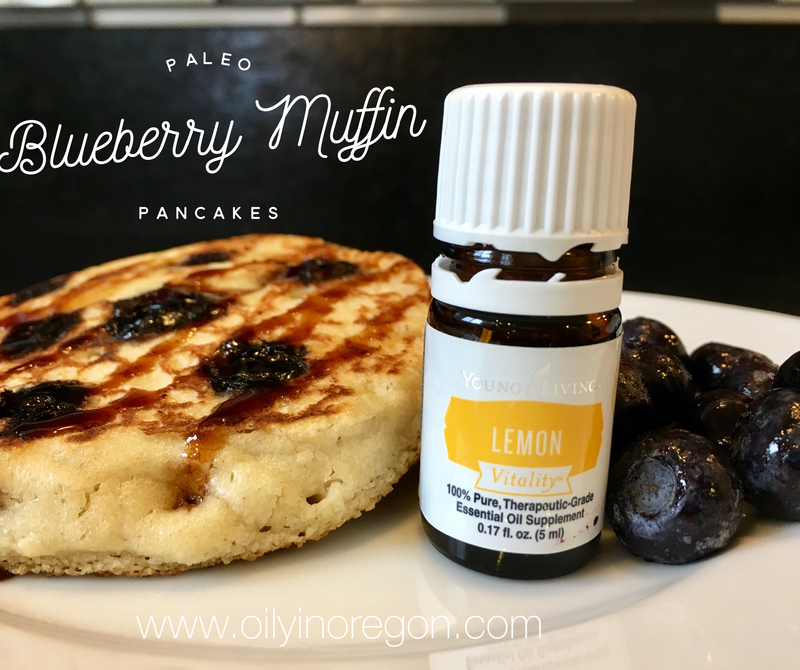 These Paleo Blueberry Muffin Pancakes are bright and cheery thanks to a drop of Young Living Lemon Vitality essential oil. This recipe was adapted from theroastedroot.net. Click here to purchase Young Living Lemon Vitality essential oil. Add the almond milk, vanilla extract, and Young Living Lemon Vitality essential oil to the bowl and mix. Add the almond flour, tapioca flour, salt and baking powder to the bowl and mix until smooth. Measure out 1/4 cup of batter and pour into the skillet. 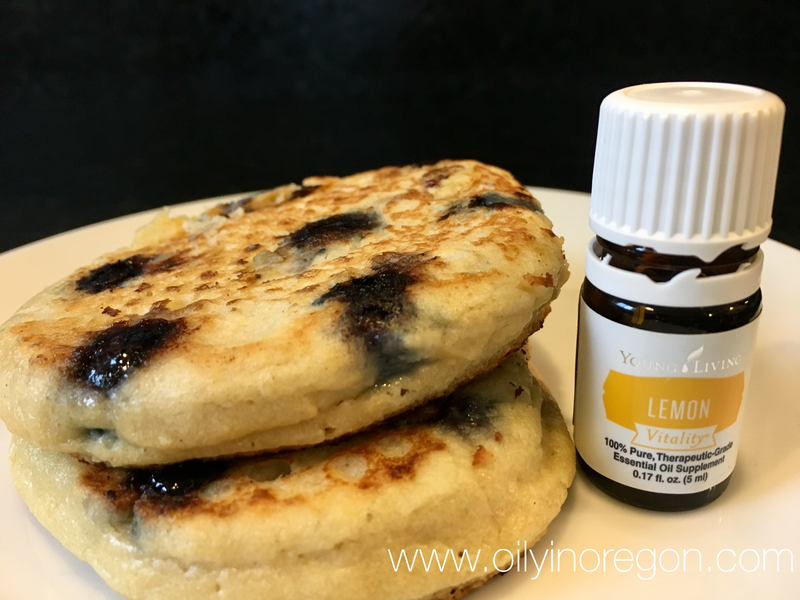 Drop a few blueberries onto each pancake as it cooks in the skillet. Cook the pancakes until the sides firm up and a bubble or two escapes from the top, about 3 to 4 of minutes. Carefully flip the pancakes, cook an additional 45 seconds to 1 minute then repeat with remaining batter.